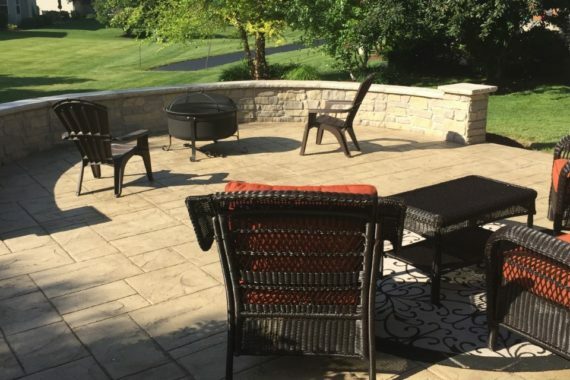 Stanley Company built this client a stamped concrete patio. 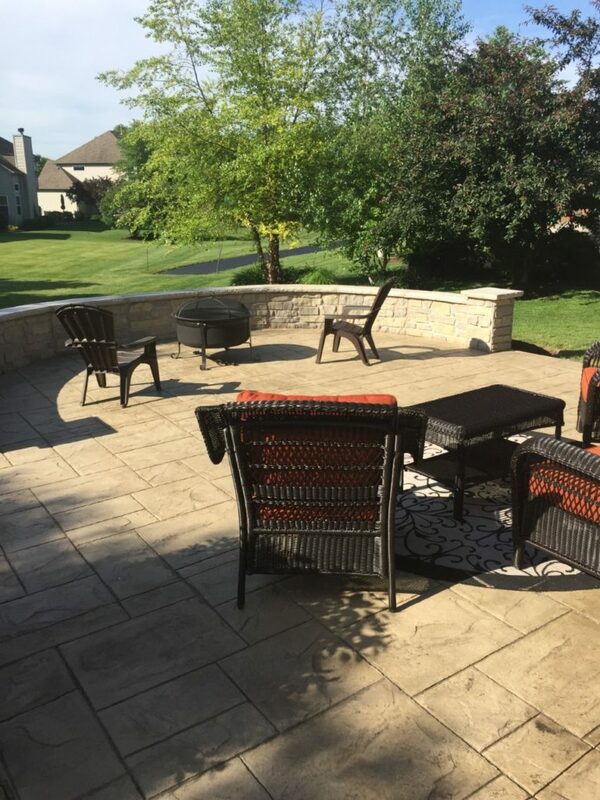 A stain and stamped pattern was chosen by the client to resemble tile, with the benefits and ruggedness of concrete. 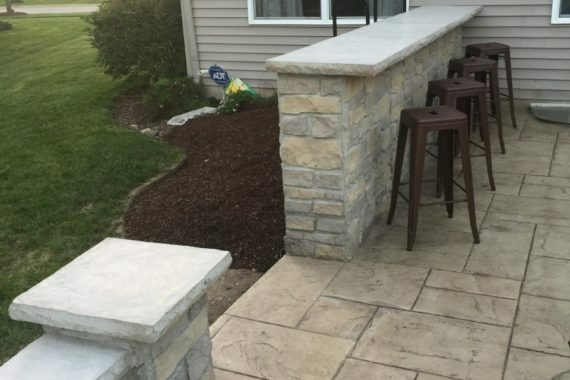 Custom walls were built with the look of custom stone work and a cap on top. 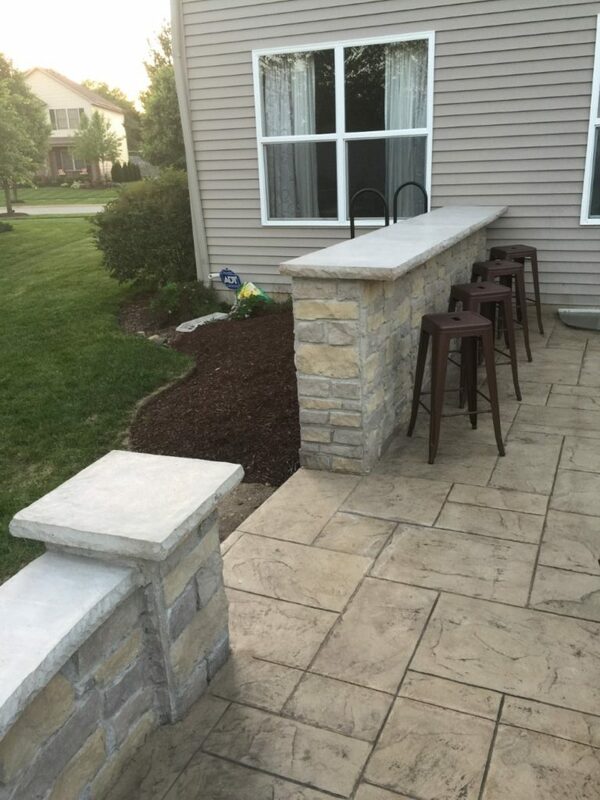 One of the walls was designed at counter height so that bar stools could be integrated for a small eating area. 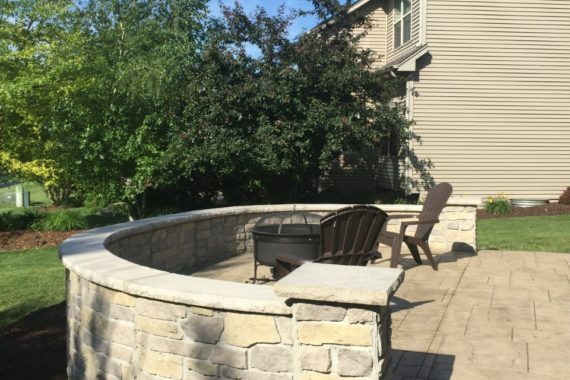 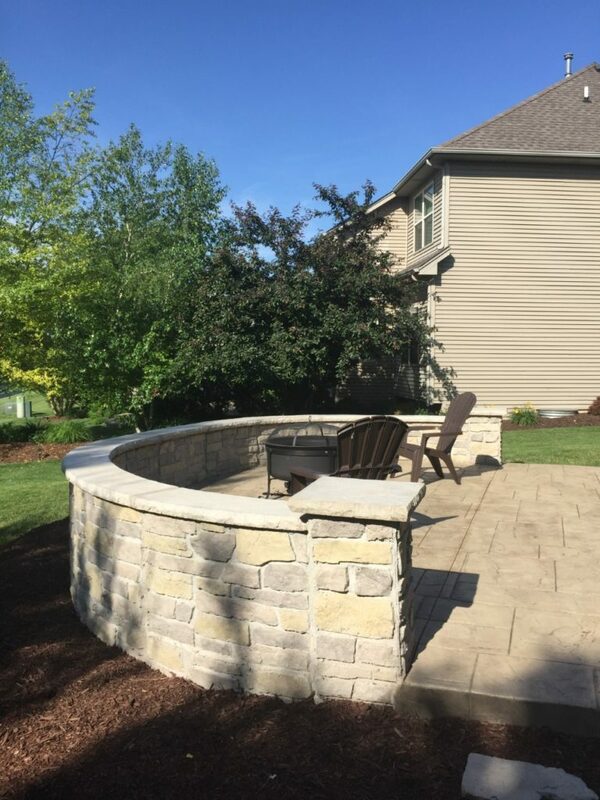 The client added a portable fire pit for occasional use on cool nights.